On Monday, the 5th of October, new Real Living Wage rates are being announced, to be more inline with our modern ways of living. 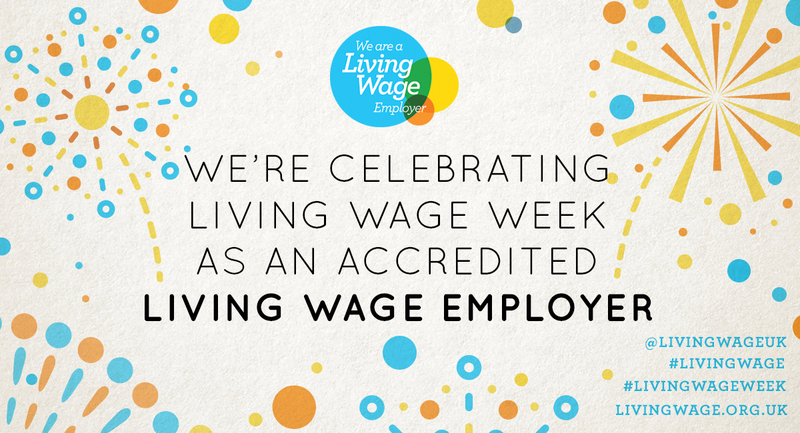 Since October 2014 Pronto Paints has been accredited as a Living Wage employer. The Real Living Wage commitment sees everyone at Pronto, regardless of whether they are permanent employees or third-party contractors and suppliers, receive the Real Living Wage, which is significantly higher than the national minimum wage. The UK’s minimum wage is currently £7.38, with the governments national living wage at £7.83. However, these wages are not calculated according to the amount that employees and their families need to live. The Living Wage Foundation claim that an extra six weeks work is required to cover basic living expenses, due to national minimum wage still failing to cover living costs. Instead, the Real Living Wage is calculated on how much people need to earn, to live their day to day lives, taking into account the price of food, bills, transport, and general expenditure. 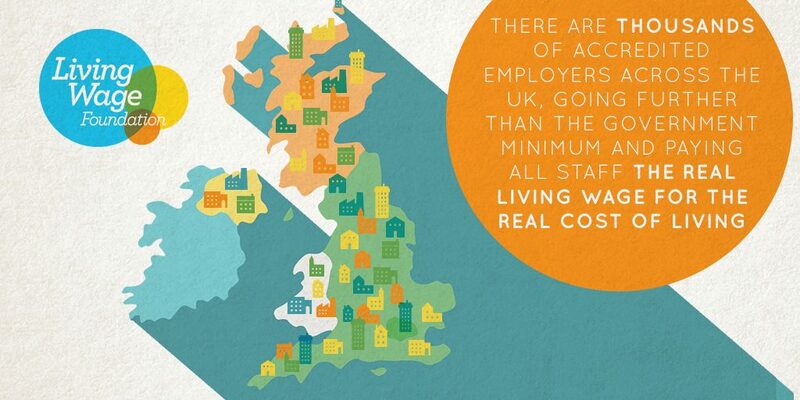 The Real Living Wage is currently £8.75 across the UK and £10.20 in London. The Real Living Wage is voluntarily paid by over 4,400 businesses, who believe their staff deserve a fair day’s pay. Here at Pronto Paints we believe in offering our wonderful employees the wage they deserve for all their hard work, to ensure that they can support themselves and their families. There are many other companies and businesses in the UK who voluntarily pay the Real Living Wage, such as IKEA, Burberry, AVIVA, Nation Wide, Nestle, and Oxfam just to name a few. If you would like to see more companies, follow this link. Unfortunately, more than a third of UK employees say their working environment is having a negative effect on their mental state of mind, which begs the question, would this statistic be lower if more companies offered their employees The Real Living Wage? We will be investigating this in a next blog post. However, offering the Real Living Wage doesn’t only massively benefit employees. It also offers many benefits to the company. 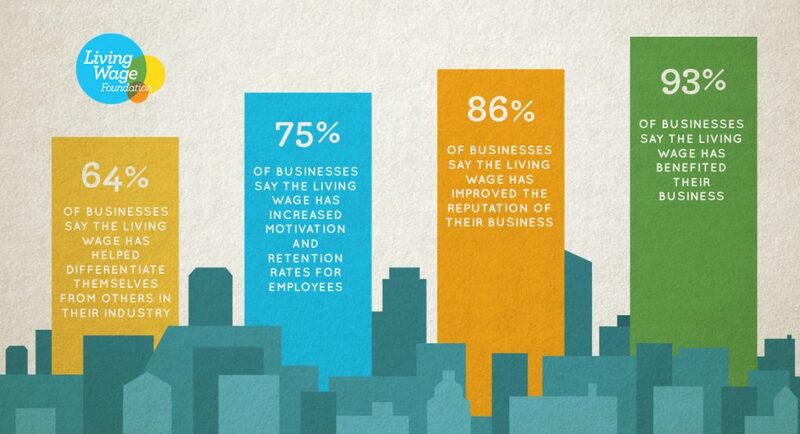 For example, 93% of businesses say the living wage has benefited their business, 86% employers say it has helped improve the reputation of the business, 75% say it has increased motivation and retention rates for employees, 64% say it has helped differentiate themselves from others in their industry, and 58% say it has improved relations between managers and their staff. And not only does paying your staff the Real Living Wage increase employee morale and the reputation of your business, new research by the Smith Institute claims that the wider adoption of the real Living Wage could provide an economic boost to UK cities worth over £1.1bn. If you are interested in joining us and many other successful businesses paying their employees The Real Living Wage follow this link.